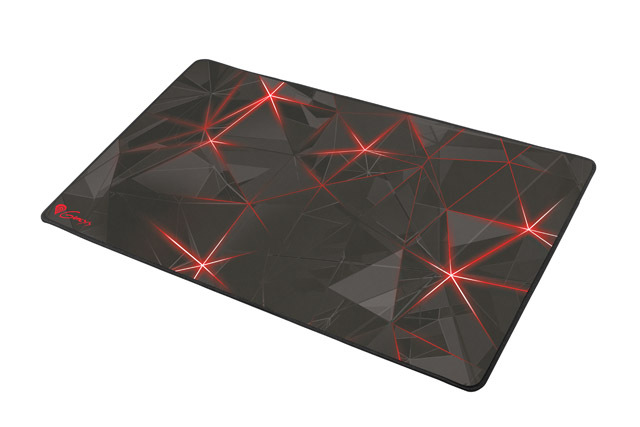 Genesis Carbon 500 is a series of sturdy and durable mouse pads with SPEED type surface. The perfectly smooth micro-woven cloth of the highest quality gives full control of movements and meets the requirements of even the most demanding gamers. 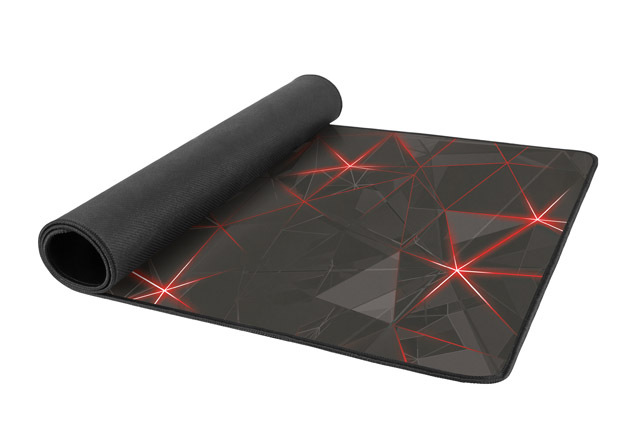 Genesis CARBON 500 MAXI FLASH is a mouse pad with the dimensions of 90x45cm. Its design will make your playing space unique and distinct. 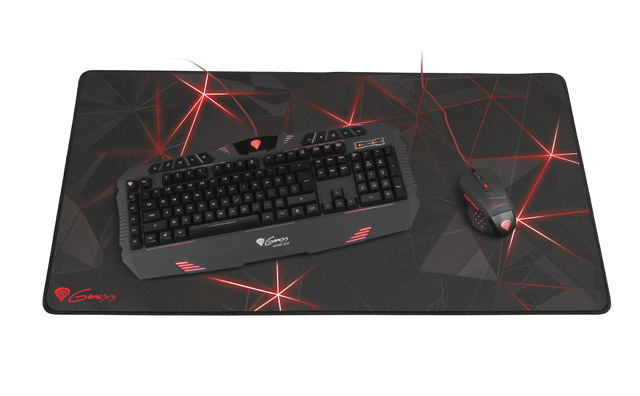 Due to the large surface, it will fit not only the mouse, but also the keyboard and other accessories, giving the gamer a huge usable space. The low profile provides unique sense of comfort for the wrist during even long gaming session. The smooth cloth surface of Genesis Carbon 500 MAXI FLASH provides high precision of motion tracking and makes your mouse gliding over it without any hindrance. The pad works perfectly with all types of sensors. An additional stitching along the edges provides Genesis CARBON 500 MAXI FLASH remarkable durability and prevents fraying during intensive usage. Special impregnation makes the liquid remains on the surface of the pad, preventing the absorption of liquid into the interior. The bottom of Genesis CARBON 500 MAXI FLASH is covered with a layer of anti-slip rubber, preventing the pad from moving in the least appropriate moments.